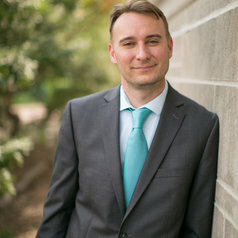 Scott J. Shackelford is an associate professor at the Indiana University Kelley School of Business, where he teaches cybersecurity law and policy, sustainability, and international business law. He is a Research Fellow at the Harvard Kennedy School’s Belfer Program on Science and International Affairs, and Director of the Ostrom Workshop Program on Cybersecurity and Internet Governance at Indiana University. He is also an Affiliate Scholar with Stanford’s Center for Internet and Society, a Senior Fellow at the Center for Applied Cybersecurity Research, and a Term Member at the Council on Foreign Relations. Professor Shackelford has written more than 100 books, articles, and essays for diverse outlets including the American Business Law Journal, University of Illinois Law Review, and the Wisconsin Law Review, which have been covered by National Public Radio, The Atlantic Wire, Politico, and Newsweek. He is also the author of Managing Cyber Attacks in International Law, Business, and Relations: In Search of Cyber Peace (Cambridge University Press, 2014), and has written op-eds for the Christian Science Monitor, Huffington Post, San Francisco Chronicle, and the Washington Times. Both Professor Shackelford’s academic work and teaching have been recognized with numerous awards, including a Hoover Institution National Fellowship, a Notre Dame Institute for Advanced Study Distinguished Fellowship, the 2014 Indiana University Outstanding Junior Faculty Award, and the 2015 Elinor Ostrom Award. Professor Shackelford has presented his research on cybersecurity at diverse forums including universities such as Harvard, Notre Dame, the University of Michigan, University of Texas-Austin, and Stanford, as well as for the Prime Minister and Cabinet Office of the Government of Australia, NATO, and the Harvard Business Review.